…only if you want to become more like Christ, live for Jesus more purposefully, and see your church take ground for God’s glory. So, yes. Unless you already have one. We’re in a war, and we want victory, so we need advisors and guidance. Get a little backstory on pastors and mentoring in Rick Warren’s article Every Pastor Needs a Mentor. And I wrote about the benefits of mentoring for pastors in 5 Ways a Mentor will Make all the Difference for You. Every pastor needs a mentor. I’m preachin’ to the choir. Why is finding a mentor a problem? Everyone wants a mentor. Especially millennials. The long-term, well-connected, one-generation-up leader who speaks into your life and opens doors for you is a reality for a fortunate few. An unmet need for most. Large scale mentorship programs get mixed reviews. Apparently it’s risky to legislate personal development. People are busy. The people you would want to mentor you have full plates. So, if every pastor needs a mentor, and if you personally would benefit from having a mentor, but mentors are hard to find, what’s a pastor to do? This article is your tool to find the right mentor at the right time. Read this article, then get the download and work through the exercises, and you’ll be on your way to finding the right mentor for you. What do I need to learn from a mentor? What do I want in my mentor? How do I get ready for a new mentoring relationship? Where do I find my mentor? 1. What is it that you need to learn from a mentor? My definition of a mentor is someone who has been where you want to go and is willing to help you get there. Begin, then, with a clarification of your vision, goals, and needs so you are clear on where you want to go. I want to grow in my relationship with Jesus. I want to love him more and reflect his character more. I want to grow as a pastor. I want to be a wiser, more capable leader. I want to be a better preacher. I want my church to grow. I want more people to follow Jesus and to be in community with other believers. That’s a little generic, but you get the point. What do you want to learn? How do you want to grow? What will a mentor do for you? My first mentor helped me see the need for systems in my church and he showed us how to add them. Another year my mentor helped me dream bigger dreams. Recently, my mentor has helped me process leadership challenges in my church. These mentors have all become friends of mine. Would a mentor help you get clarity or find your next steps? What do I want my life to be like in ten years? What will it take to achieve that? What stands between me and that outcome? Those three questions are a quick Gap Analysis, and they will show you the space between where you are and where you want to be. Looking at the gap will show you what you want to learn from your mentor. 2. What do you look for in a mentor? That must be an important question because everybody has a list of what mentors should do and what they should be like. Bobb Biehl says you’re looking for a mentor who you know cares for you, believes in you, and naturally encourages you. Brad Johnson and Charles Ridley, in their synthesis of mentoring, The Elements of Mentoring, list warmth, active listening, regard, confidentiality, humor, trustworthiness, and respect for your values as some of the key traits of excellent mentors. Beyond all the right interpersonal skills, I want a mentor who has been a lead pastor, in a bigger church than mine, who has persevered in ministry, and who leads people to Jesus. What character traits, skills, and experience are important in a mentor to you? 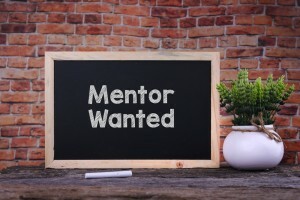 What kinds of mentors are there? Mentoring comes in every flavor. Formal. Informal. Life-long. For a season. Group. One-on-one. Near. Far. Paid. Free. I think life brings a series of mentors. First your parents, then teachers and coaches, then bosses. People come into your life for a season and you learn from them. Some people stay near, others move away. You have informal mentors who don’t know you – the people who you listen to or read. 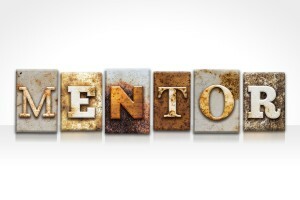 You may have been in a formal mentoring program. And loved it or were frustrated by it. Get the download at the end of this article, and use the worksheet to identify what kind of mentoring you would like. 3. Are you ready to do the work that comes with mentoring? Lois Zachary and Lory Fischler have written a series of books on mentoring. One is called The Mentee’s Guide. They propose some initial questions to ask yourself to see if you’re serious about getting a mentor. Am I willing to commit time to developing and maintaining a mentoring relationship? Am I committed to being an active mentoring partner? You don’t have to answer every question with a perfect yes, but you should be able to see if you have capacity to invest some time and work in a mentoring relationship. Remember that Jesus is your first mentor. Mentoring is learning that Jesus layers into our lives through others as we are open and teachable. He is your mentor in the truest sense of the word. 4. Where does a pastor find a mentor? Howie Hendricks says to pray, look, and contact. As pastors of local churches, we have mentors around us. The Christians leaders with national influence have risen because they have things to teach us. The same goes for the leaders in your denomination or association of churches. 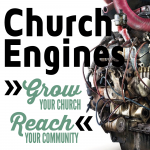 They are there to help you be a better leader and do better leadership in your church. Learn from them. There are pastors in your church, your city, or your county who could mentor you. These days the internet has made it possible for us to be mentored either informally or formally, from afar or close-up, by pastors and church leaders on just about every aspect of ministry. What names come to mind of people who might be the right mentor for you right now? Use the Criteria-based Decision Making worksheet in the download to prioritize the things you must-have, and the things you would like to have, in a mentor. Then stack up possible mentors against your priorities. Now it’s time to get the download and write down what you’ve been thinking in the last few minutes. Then you will know what you want to learn and what you want in a mentor. 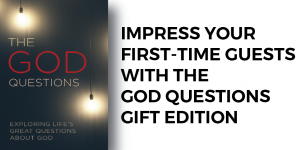 You’ll have gut-checked to know you’re ready, and you will know where to look. You’ll be ready to find the right mentor at the right time. 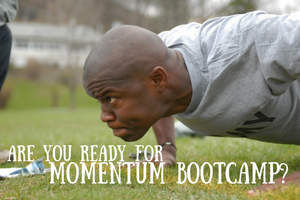 I have a mentoring program that combines video training and one-on-one coaching calls with me. See if it is what you’re looking for. « [Video] How long is too long for a sermon series? Every Pastor with a larger church than I pastor has rejected building a mentoring relationship with me. Seems like pastors with churches over 1000 only want to have you pay to be mentored by them, or join their groups to be mentored as a group. I would never charge a young pastor who wanted to be mentored by me, nor would I not give them individual attention regardless of their denominational affiliation. I realize this is a snarky comment, but its my experience. I have struggled to find a mentor who is ahead of the curve of me who genuinely values growing pastors from a kingdom mindset, not just a “my kingdom” mindset. Alas, I will continue to search. Your comment isn’t snarky, Matt, and I understand your frustration. I think there are two reasons why most larger-church pastors don’t mentor one-on-one or for free. I think that they are trying to make the most of their time, and they want to foster the camaraderie and mutual mentoring that comes in a group. As for hiring a mentor, I think that makes us more committed to do the work and show progress. That was true for me. I didn’t work hard at doing what mentors suggested until I hired one and felt that I had to make the most of the money the church was investing in the mentor. I know that God sees your heart and your situation, Matt, and I’m praying along with you that God will bring exactly the right mentor for you. Thank you. I believe the Lord leads.